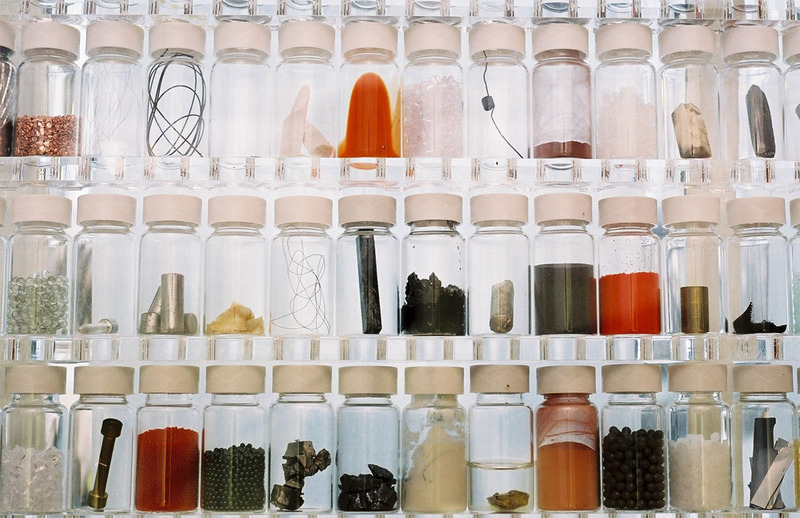 Dedicated to exploring the structure of materials and their relation to form and phenomenology, the Materials Library is a highly interdisciplinary research centre and sample collection. Positing, theorising and demonstrating deep links between the makeup of matter and our complex experience and use of it in cultural and structural contexts brings engineering directly into the realm of philosophy. My work with the Materials Library included advisory participation in strategic development and in several events, as well as co-supervision with Principal Investigator Mark Miodownik and Professor Alan Read of the successful doctoral project of curator Zoe Laughlin. This was a non-stipendiary affiliation: much of my work in this period was focused in Copenhagen, and the development of Split + Splice. Among the most successful arts-science labs in the UK, The Materials Library has affiliations across the spectrum from museums such as Tate and Wellcome Collections to design development centres like the Norsk Design- og Arkitektursenter in Oslo, as well as the Cheltenham Science Festival and more. In 2008, the Library held a series of joint ESRC funded seminars with the University College London Department of Anthropology, entitled New Materials, New Technologies: Innovation, Future and Society. 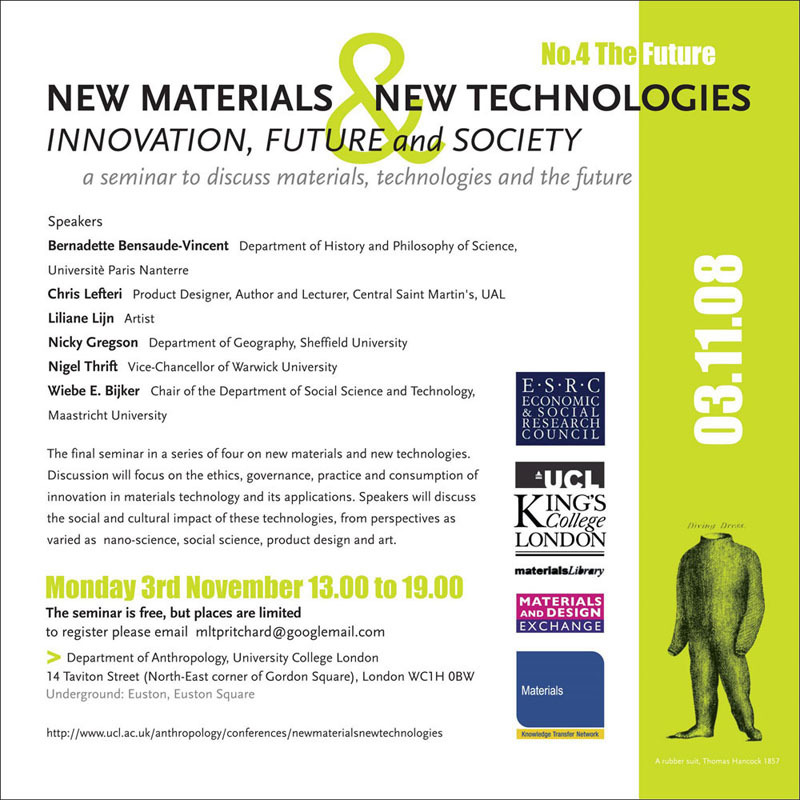 As of 1 February 2012, Mark Miodownik is Professor of Materials and Society at UCL, and the Materials Library itself has moved along with him to University College London.